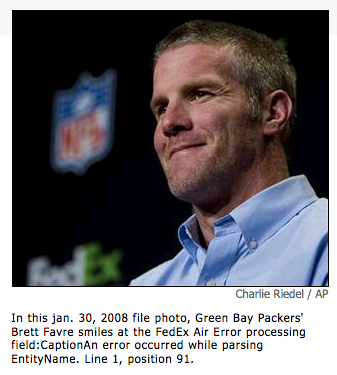 "That's nothing to smile at, Brett," writes David Robinson, "EntityName parsing errors are serious business." "That's okay," Zack notes, "I can wait." 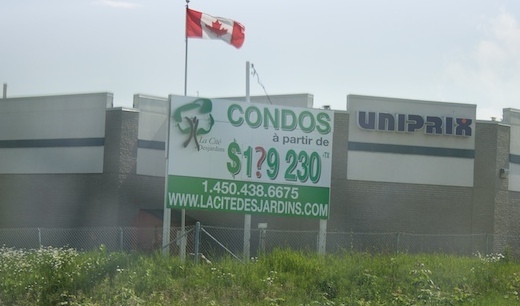 "We're all familiar with the 'marketing' prices of $299.99 instead of $300," Alexandre Hetu writes, "but I'm not quite sure how the random question mark is supposed to work." "I would like to comply with their demands," writes Tim, "but I'm not really sure how. 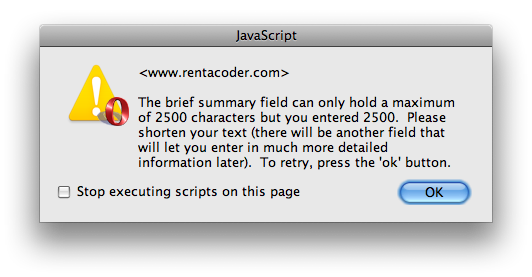 Maybe these guys need to rent a coder?" 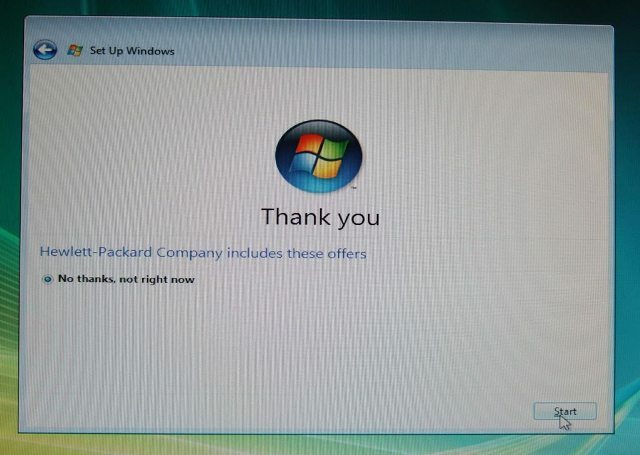 "When setting up Windows on a new HP desktop," Andrew noted, "it seems they like to crush your high hopes with an offer you can't refuse." You are 3 for 4. You are 4 for 5. SmarterChild: I don't like the way you're speaking now. These are awful words to use. 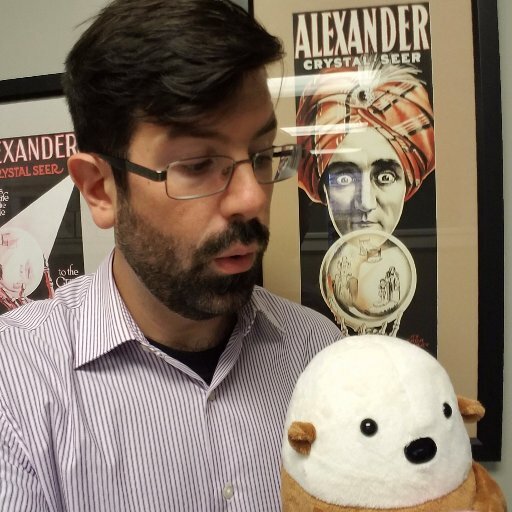 "Asking why it had me unscramble a bad word didn't yield any meaningful answer."